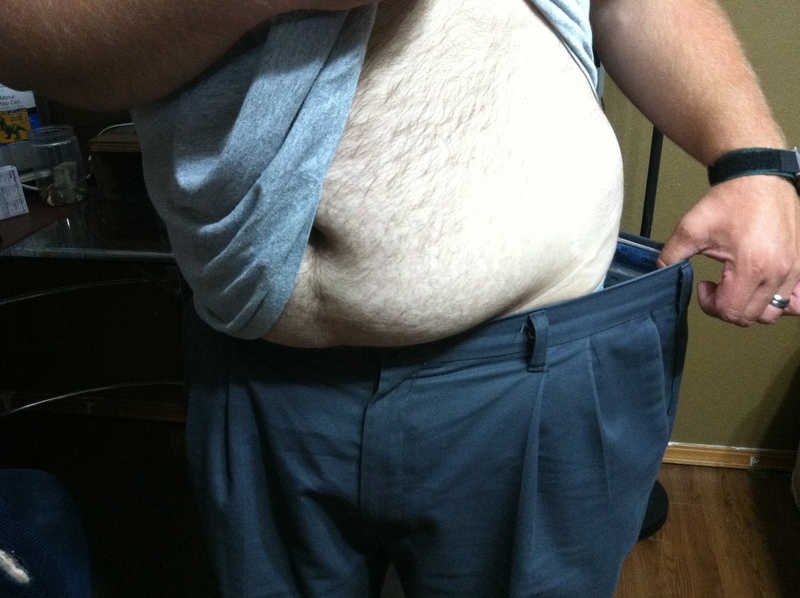 I’ve fit into a few shirts that used to be too small, and I’ve moved to the last notch on my belt. When I started the slow carb diet, I didn’t have a pair of pants that fit. I might try some on this weekend. Keep up the awesome results! Thanks! I know I am doing really well. Even my weeks of little loss are good progress, but I can’t help but to want it to come off faster! I hope some of your stuff fits. It’s a great feeling fitting into clothes again. You keep up the good work too! I know what you mean. I had a string of 1 pound loss weeks. Any movement down is good, but man, I got pounds to lose! Somehow, last week was a 5 pounder. This week is shaping up to be a little less but hopefully still a solid drop. It’s crazy how the rate of loss jumps around. You can go a few days without the scale moving much and then it just drops down a bunch! Don’t you just love it when your pants almost fall off? I keep wearing a pair that are way to big that I could hardly breathe in a couple months ago because it feels so darned good! It is a nice feeling know that your clothes are falling off! However, a work it gets to be annoying to be constantly having to tuck my shirt back in. Plus I carry tools around in my pocket so they are always pulling my shorts down! I like wearing shirts that used to be tight on me. It’s like 24hr motivation!